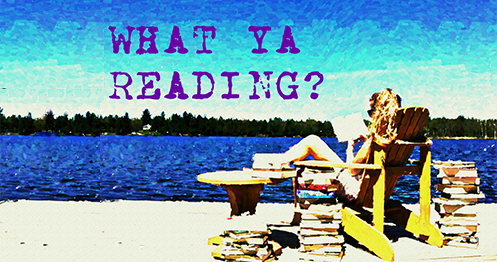 The Program | What YA Reading? In Sloane’s world, true feelings are forbidden, teen suicide is an epidemic, and the only solution is The Program. Usually I’m a sucker for a dystopia. A good, corrupt government, some teenage anarchy, maybe a few dogmas designed to shock and dismay… Count me in! It’s bound to be a recipe for success, right? And if not success, then at least a read worth your time. Alas, The Program did not live up to its genre’s standards. I’ve had this book marked on my to-read list since its tons of hype first hit the YA world, which is to say somewhere along the lines of six months ago. And it brings me no joy to inform you that the anticipatory wait was in vain, but inform you I must. First and foremost, everything about The Program‘s characters fell flat. It wasn’t so much that they didn’t feel anything– fortunately, we readers were privy to Sloane’s multitude of frustrations, doubts, and complaints– it’s that their emotions had no depth, and seemed to be more the production of artifice than anything else. I was never quite able to latch onto Sloane’s mindset, understand her thought process, or validate her many melodramatic reactions. Although the narration was in first person, I was completely removed from her feelings, and I never did develop any kind of attachment, concern, or even mild friendliness towards her or the rest of the cast of characters. Sloane’s and James’s romance was plagued by the same issues. Various displays were made to prove their affection for one another, and I appreciated the number of flashbacks that explained how their relationship was forged. However their romance just seemed empty. I’m not convinced that these people even cared for each other, let alone that they loved each other “madly”. I’m sure that their relationship was fortified by loss, social oppression, and all of that jazz. I just couldn’t bring myself to care. That being said, I enjoyed walking into this book to find a couple already going strong. It was a clever way to avoid insta-love, and moreover the couple’s imperfections lent credibility to their romance and reality to the characters. I appreciated that. The Program‘s plot was alright, I suppose. It gets points for keeping me reading when the characters so obviously didn’t. I did enjoy the ending, although I’m not quite sure to have understood it. I guess my trouble with the plot is simply that it wasn’t very memorable. Sort of flavourless, if I do say so myself. Lacking in punch, in tang, in oomph. The awful part is that I’m absolutely crazy about this novel’s premise. When I hear the words ‘suicide epidemic,’ ‘government program,’ and ‘memory wipe,’ I can’t help but get excited. It’s brilliant. Surely there’s room enough there to write one helluva good book! I was all set for a thought-provoking, emotionally acute, gripping, wild ride. Unfortunately, Suzanne Young didn’t agree. Or rather, she chose to define “thought-provoking, emotionally acute, gripping, wild ride” as a fairly wishy washy band of characters following a somewhat plain vanilla plot. High points? If you’re avoiding this novel because of the sensitive topic, fear no longer. Apart from the seriously disturbing way in which this world’s teens chose to drop like flies without a second thought, The Program was never meant to perturb its readers with a point-by-point description of depression. This is a dystopia; it’s not a self-help book, and it’s not 13 Reasons Why. It was never intended to delve into and flesh out all of suicide’s delicacies. I was also fond of the novel’s layout. Its division into three parts (pre-Program, Program, and post-program) strengthened and reinforced the plot in my eyes. 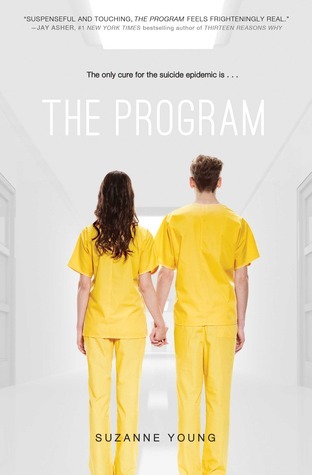 Overall, The Program merits 2.7/5 stars. For all the trouble I’ve put it through, it really wasn’t terrible. Its shortcomings were really more of a result of its mediocrity than anything else. It was an average Joe of book, and that’s okay. It just didn’t make the grade. Better luck next time? The only thing better than a book is book and a... ? Click here to donate to World Literacy Canada, a non-profit organization dedicated to fighting poverty and increasing social equality in India through literacy.